18V ONE+™ LITHIUM+™ Hedge Trimmer is rated 4.9 out of 5 by 1517. Rated 5 out of 5 by JoeAbw from Love this hedge trimmer. great product f you are considering the 18 inch model, I strongly suggest you upgrade to this model. For $10 more the benefits are well worth it, >The Hedgesweep is a huge time saver especially for those of you that have row hedges. It can be removed/installed in 2 seconds. >The rotating head [does 90 or 45 degrees left or right] makes side trimming easier. >Not sure about others, but this model comes with a nice storage blade guard. > I have 200’x2’x2’ privet hedges and the 3/4 cut is more than enough. >Power is very good. >This review is based on usage of Lithium + batteries. >I bought this as part of the combo 2660 & consider it a great value. Rated 5 out of 5 by Martini from Love the power I had an old cordless 3/8" hedge trimmer, for normal hedge's OK, but when trimming my overgrown Rosemary around the house, it just won't cut, so invested to this new 3/4" hedge trimmer, what a differences it make, cut through tough Rosemary branches without any problem at all, love the rotation feature, made it easy when trimming along chain link fence. I have many Ryobi 18+ tools, this one just added a nice touch to my cordless collection, was thinking about those 40V cordless yard tools, after used this one I think 40V tools would be a waste of $, 18V got enough power to get the job done. Rated 5 out of 5 by Leader1 from I tried out a number other hedgers! 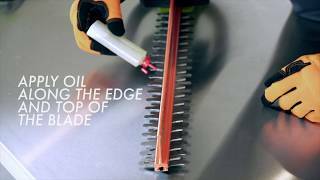 I first bought the Ryobi 18 volt hedger and thought it was pretty good. However I was not satisfied so I took it back. Being use to my old plug in hedger, I felt it should have a little more power behind it. Well after trying THREE other well known brands the Ryobi is back. The weight is excellent along with the hand grip size. The ability to swivel the handle makes it great for shaping the hedges. And of course the hedge sweep keeps the mess to where you want it. The added plus is the 3000 cuts strokes per minutes! I don't work for Ryobi this is for real. Suggestion...add 40 volts to the hedger. Sorry no viedo. Rated 4 out of 5 by Culver467 from I Love This Thing! I Love this thing. I've had it for a month now but in Texas, in the summer, I've had to use it twice already on the same bunch of hedges. I am impressed by the run time (with one of the big lithium batteries that I already had) as well as the how easy to it is use. I also used it along a fence line in our field to cut down to size the grass that had grown up about two and a half feet around the fence posts. It made it so much easier to then use the string trimmer to finish cutting that grass down to ground level. Now I'm looking around to see what else I can use this light weight tool for. As with all my Ryobi tools, I'm pretty happy with this one! Rated 5 out of 5 by Spitz from Ryobi 18v Hedge Trimmer I've been looking at this Ryobi hedge trimmer at Home Depot for some time now. I had a very old corded Black & Decker that was no longer sharp, not light and I didn't like having to drag an extension cord around with me. My wife told me to get it for Father's Day!! I charged up the battery and used is yesterday to trim some boxwoods we have hiding the power companies big electrical box in our backyard. Very pleased with sharpness of blades, really like the sweep to move debris to end of hedge and onto ground, and power is great! Weight and balance are both good too. Overall, I am very happy with my purchase, been looking to buy one for one year! Rated 5 out of 5 by Gohardpdx from Efficient and Easy to Use This is a perfect edge trimmer for home use. It is well-balanced and has enough power to get the job done. It comes with a battery and charger, so it is ready to go right out of the box, even if you don’t already own other Ryobi 18V cordless tools. The rotating handle is a real plus, making it easy to trim both horizontal and vertical surfaces. Thoughtfully designed and well-functioning, this tool makes short work of otherwise tedious trimming jobs. The “hedge sweep” bar is pretty much useless, though. It is difficult to put on and almost impossible to take off, and it really doesn’t do much. The trimmer would work every bit as well without it. Rated 5 out of 5 by Alsm77 from Excellent Trimmer This trimmer is great for the homeowner. 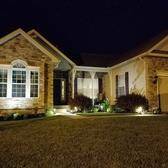 It provides excellent power and run time, rivaling the power of some smaller gas trimmers. It is ergonomically friendly with rotating handle allowing operators to optimize vertical and horizontal trimming comfort. 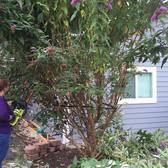 The hedge sweeper attachment on the top of the blade works very well to move trimmings off the shrub, or bush that you are trimming. I bought this unit to replace a Black and Decker corded 24 inch hedge trimmer, and this trimmer has more power and is much more convenient being cordless. 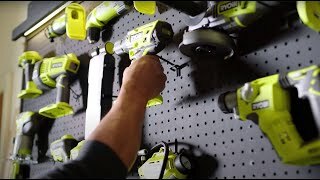 Additionally, Ryobi batteries are inexpensive and durable, and there is a large tool selection to go with them. 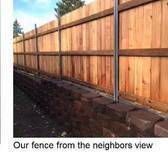 Rated 5 out of 5 by Patricia from 3rd hedge trimmer is the charrm! I bought 2 hedge trimmers before this one. I bought a highly recommended gas powered competitor brand & we never could get it to start, so I took it back. Then I bought a competitor brand lithium model & the battery would not charge. (I did NOT buy these at Home Depot - I bought them at Menards). So being fed up, I went to Home Depot & told a guy there my troubles. He recommended the Ryobi 40 Volt & I bought it. It works like a charm! It seems effortless compared to the headaches I was going through before! Thank you Home Depot!!! Thank you Ryobi!!! Trimming my hedges is a breeze now!!! It's so light weight too! 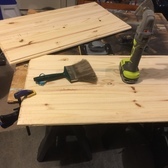 The RYOBI 22 in. 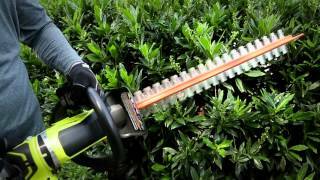 18v Cordless Hedge Trimmer is perfect for any homeowner! With a 22 in. 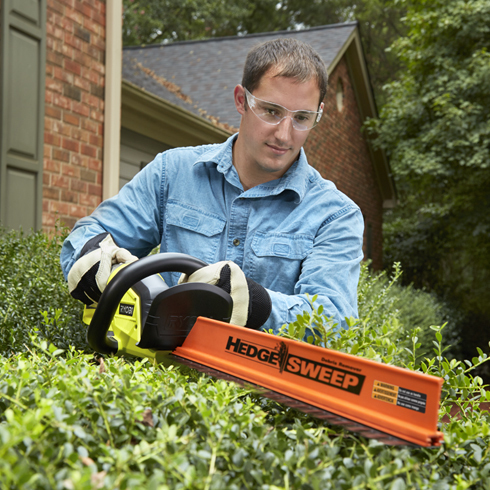 dual-action blade and a 3/4" cut capacity, this trimmer can handle even the toughest hedges. The unique rotating handle provides accurate cutting at any angle. Best of all, this kit comes with our most advanced 18v Lithium+ battery! This will ensure that you get more run time and fade-free power every time! As with all RYOBI ONE+ tools, this Hedge Trimmer is also backed by the RYOBI 3 Year Warranty!